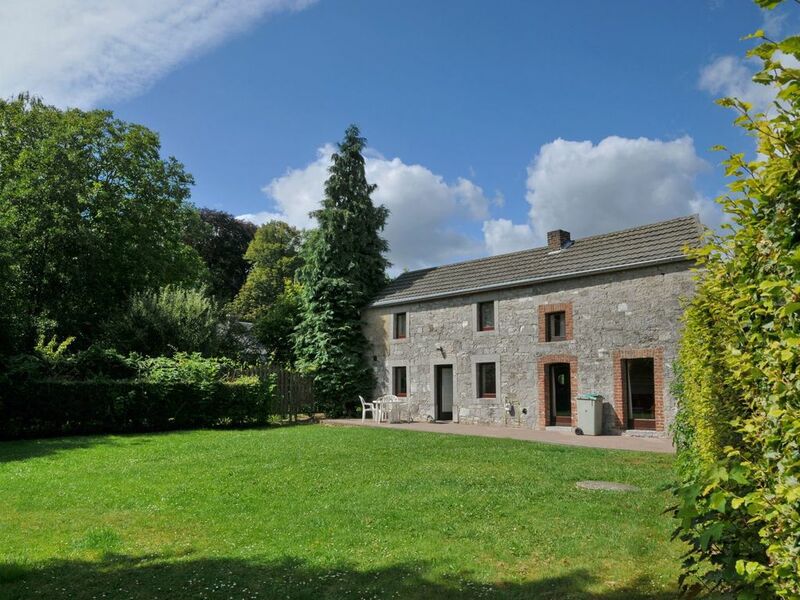 Oneux 7 km from Durbuy: Cosy farmhouse "Oneux", surrounded by trees. In the centre of Oneux, in a secluded position, 100 m from the edge of the forest. Private: garden (fenced). Shop 3 km, supermarket 15 km, restaurant 6 km, bar 6 km, bakery 3 km, café 6 km, railway station 20 km, indoor swimming pool 3 km, thermal baths "Le Sanglier des Ardennes" 6 km. Sports harbour 10 km, golf course (18 hole) 10 km, tennis 6.7 km, indoor tennis centre 6.7 km, minigolf 6 km, riding stable 4 km, sports centre 5 km, walking paths from the house 100 m. Nearby attractions: Megalietensite Wéris 13 km, Grotten van Hotton 19 km, Musée de la Bataille des Ardennes 33 km, Domein van de grotten van Han 46 km, Safari Park Le Monde Sauvage 29 km, Plopsa Coo 43 km. Well-known ski regions can easily be reached: Baraque de Fraiture 32 km. Hiking paths: The Topiary Park 6 km, Durbuy 7 km, Natuurpark Chlorophylle 31 km. Groups of teenagers on request only. The deposit will be doubled for groups of youngsters. Bookings for workmen only on request. "Oneux", 3-room farmhouse 76 m2 on 2 levels. Practical furnishings: entrance hall. Open living/dining room with 1 double sofabed, dining table, TV, gas heater and wood-burning stove. Exit to the garden, to the terrace. Open kitchen (oven, dishwasher, 4 ceramic glass hob hotplates, microwave, electric coffee machine). Upper floor: 1 room with 2 beds. 1 room with 1 double bed. Shower/WC. Electric heating. Terrace furniture, barbecue. View of the garden. Facilities: Internet (WiFi, free). Reserved parking at the house. Maximum 2 pets/ dogs allowed.